← Is this person holding on or climbing up? As I prayed, I saw a picture of a child peering around a door. I felt that I should tell the person I was praying for but I was unsure because it sounded such an odd thing to say and this was to someone I didn’t even know and so I couldn’t guess how he would react. 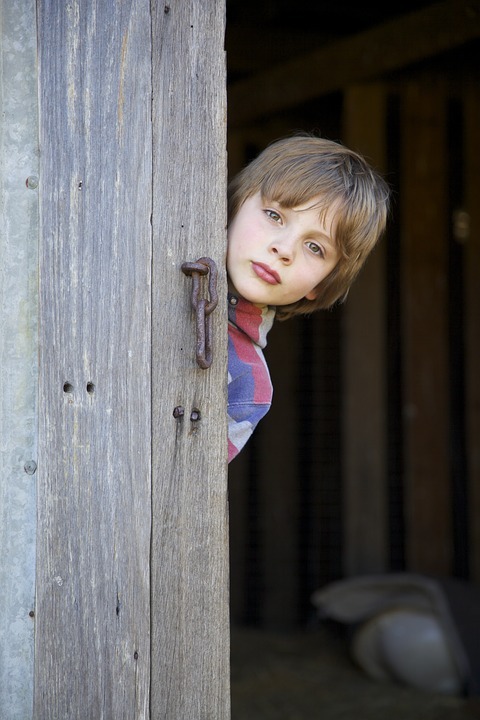 Anyway, I plucked up the courage and simply said ‘as I prayed for you, I saw a picture of a child peering around a door’. As I finished speaking the person who I was praying for started to grin and he said ‘WOW’. God spoke to him in that moment and it was clearly significant, but I was challenged by the fact that I had nearly not saying anything. Are we willing to take risks in following Jesus or do we just want to play it safe? One of the things that helps me with the prophetic (speaking out what we believe that God is saying) is to use the words ‘as I prayed, this is what I thought/saw’. These words give someone the freedom to discern whether God is speaking or not for themselves and they are also a confession that I am not perfect and that I don’t get everything right. What will we do if we believe that God is speaking to us so that we can share his words with others? Will we share it with them? Perhaps the phrase ‘this is what I thought/saw as I prayed for you’ can help us? One of the things that I have been trying to do is to say something like ‘that reminds me of something that Jesus said’ if it seems appropriate in a conversation with people who don’t know Jesus yet. As I have done this, the thing I have talked about the most is Jesus calming the storm with the words ‘peace be still’. As I speak with people who are stressed or afraid of what lies ahead, I have told the story and have encouraged them to hear the words of Jesus, ‘peace be still’ speaking to the storms and stresses in their minds and circumstances. These God moments are so precious but I feel challenged to find the courage to be open to sharing prophetically with people who don’t know Jesus yet using the ‘as I prayed for you, I saw/thought …’ approach. There is a risk involved in this but there are also huge potential spiritual breakthroughs as well. The prophetic isn’t something you can manufacture, so this approach is completely God dependent and it is about us as his followers being willing to obey him and to take a chance. So, are we willing to take risks in following Jesus or do we just want to play it safe? This entry was posted in Faith, God is with us, Life experiences, Listening to God, Miracles, Prayer, Relationship with God and tagged full of the spirit, God is speaking to us, God speaks, led by Jesus, listen to the Spirit, listening to God, prophecy, risk take chances, spirit filled. Bookmark the permalink.